Welcome to our very first, official, #GIWBookClub post. At the beginning of January (my god, that feels like years ago, doesn’t it? ), we announced the launch of our book club, kicked off with a giveaway on our Twitter, and invited you to join us in reading this wonderful book. Although I was born in 1994, I still have memories of singing along to the Spice girls and wearing their Spice t-shirt with my sister. A blonde child, I was therefore always a “Baby” and as Lauren comments in her book, you were always categorised by looks first rather than personality. It’s interesting to me, to see how these restrictions seemed to carry across multiple school playgrounds of anyone who was growing up in the 90’s. 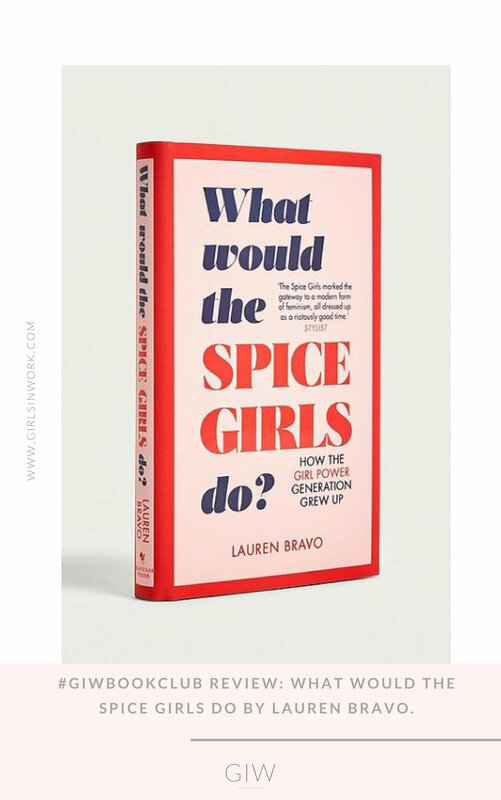 Lauren’s book “What would the Spice Girls do?” is a a really fun first read to kick off the #GIWBookClub. The book focuses on what made the Spice girls so perfect for the teenagers who grew up in the innocent world of girl power. Instead of focusing on an image of feminism, the general intention was one of having fun and being proud to be girls which is something that Lauren explores in the first few chapters. As the book progresses Lauren explores further how this teenage generation then grew up to pick apart their own idea of feminism, after having such a solid foundation of what it meant to be part of the girl power generation. It’s not a book with a heavy feminist tone and a strict manifesto, but instead uses the Spice Girls fandom experience to demonstrate what it meant to be part of a group of strong iconic women. The book itself is fun and reminiscent of the Spice Girls ideology that girls can do anything. It looks back on the lyrics, as well as the formation of the group and it’s subsequent fan base who helped to build the Spice Girl brand. Lauren’s own experiences are woven throughout the book but I can guarantee they feel very similar to anyone who was growing up in the 90’s or just loved the Spice Girls. Relating their songs to our teenage lives wasn’t important, it was the fun, pop world which we were invited into that made the Spice Girls such an iconic piece of our upbringing. The book outlines this and is a perfect nostalgic treat for women all over the world who were influenced by the Spice Girls in some way. Having purchased both the audiobook and hardback I know it’s one that I am going to re-visit over and over whenever I feel like I need a quick injection of Girl Power energy in my life. 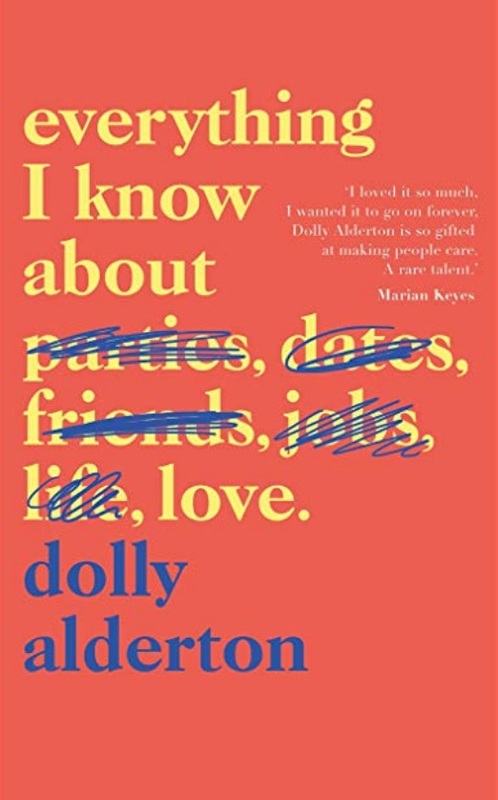 In February, we will be reading Dolly Alderton’s Everything I Know About Love. Fancy winning yourself a copy? All you need to do is head over to our Twitter, make sure you’re following us and RT our giveaway tweet for a chance to win!